Grow /gro/ verb to undergo development by increasing in size and changing; to progress to maturity; to cultivate; to become larger or greater over a period of time; increase. 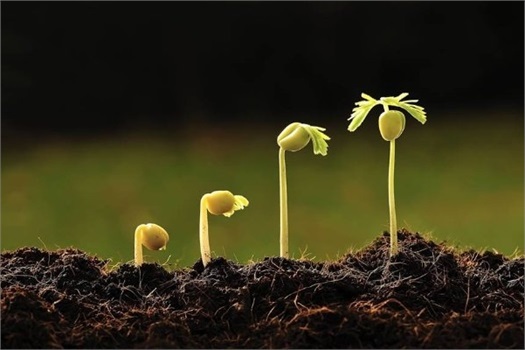 GROW: Planting your financial seeds can be a day’s work, but growing them takes knowledge and time. The unpredictable climates can change how your field of finances grows. We can help you tend to your field with the right tools and knowledge so it will grow into a bountiful harvest with benefits you will reap in your retirement years. Financial Planning (Budgeting, Saving, and Investing) - A field of grain that is consistently tended to, watered and fertilized will grow and yield a strong crop of wheat. The same can be said for the financial field that you plant for you and your family. As you personally grow, your income grows, your family may grow, and adjustments are necessary along the way. Making minor changes at the right time, such as starting an education savings plan for your kids, can have a major impact on your financial future. Revisiting and revamping your financial plan can keep you focused on your goals and set you on the right path to meet them. We can offer our insight, knowledge, expertise, and advice as your life changes and grows. Employer Retirement Plan (401(k) or 403(b)) – Your goal is to save your money and you want your money to grow. The purpose of an employer retirement plan, such as a 401(k) or 403(b), is to save and grow your money for retirement. Managing your employer retirement funds can be intimidating and markets are always changing. We offer personalized advice and help you review the options available to you. Protection Planning- While protecting your income is about protecting your future, it is also about protecting your loved ones. You want your children financially cared for now and in the future. You want your assets protected because you’ve invested your time and money in them. As your family grows, implementing and regularly reviewing a protection plan, such as life Insurance, property insurances, and long term care insurance is both sensible and necessary. Legacy/Estate Planning (Wills and Trusts) – Life is uncertain at any age. Consulting with an attorney to draft a will or trust, can be a crucial step in ensuring your wishes are carried out and family is protected. Whether we’re consulting with your attorney or if we need to provide a referral, we want to make sure your financial interests are protected.